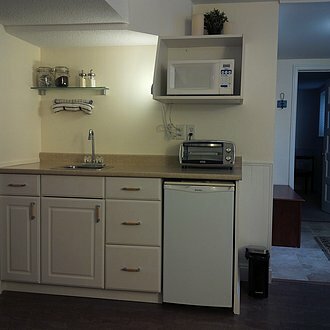 Complimentary Coffee and Tea is available with your fully equipped Kitchenette. There is a lovely bakery 5 minutes away called Bearspaw Bakery. Ice is also available on request as is the BBQ.